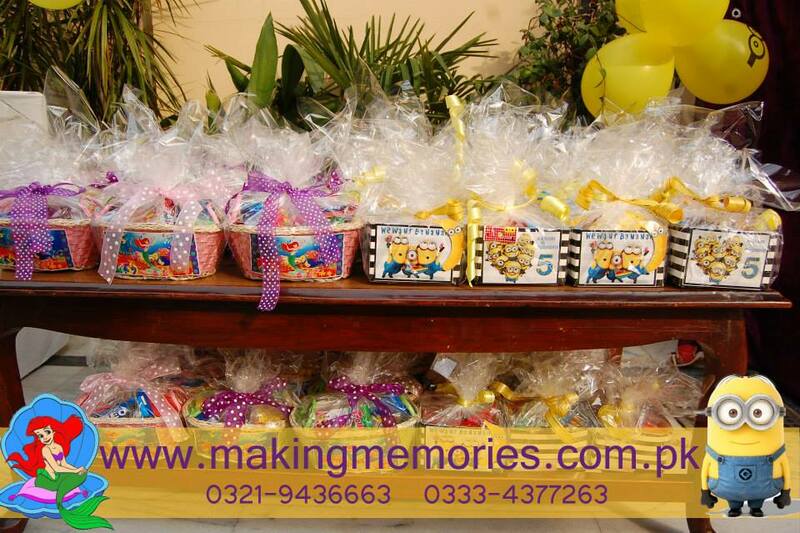 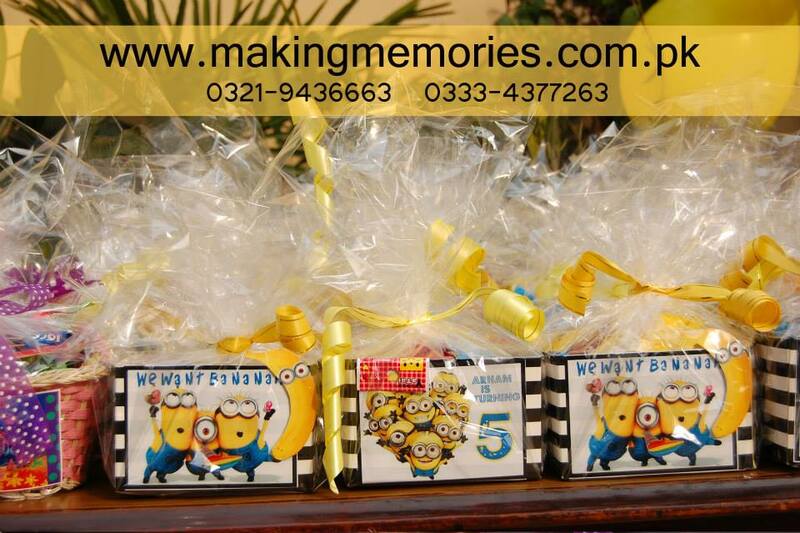 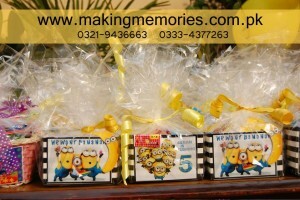 We design all kind of bags, boxes and baskets for giveaway in the party. From designing, filling till customized packaging. 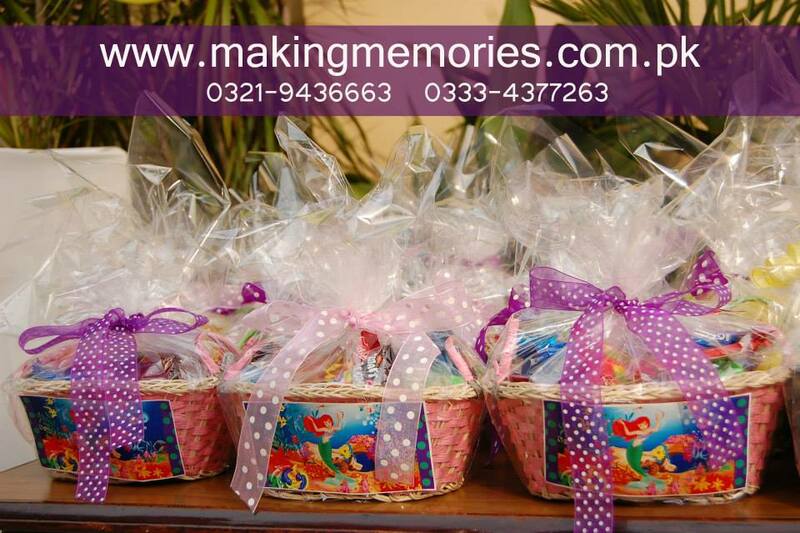 The fillings are available on demand which includes edibles, small toys, key chains, printed T shirts, Stationary items, Thematic Cupcakes, and cookies etc.